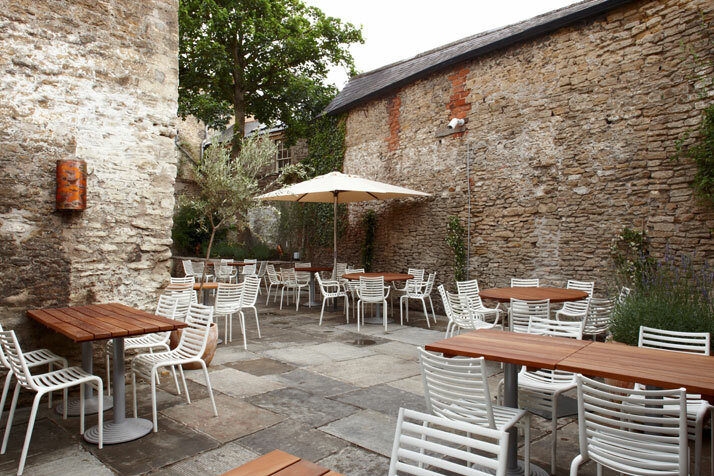 The Archangel Hotel sits in the center of Frome, Somerset (South West England) a lively little town made up of creative types, beautiful landscapes, and mom-and-pop shops. 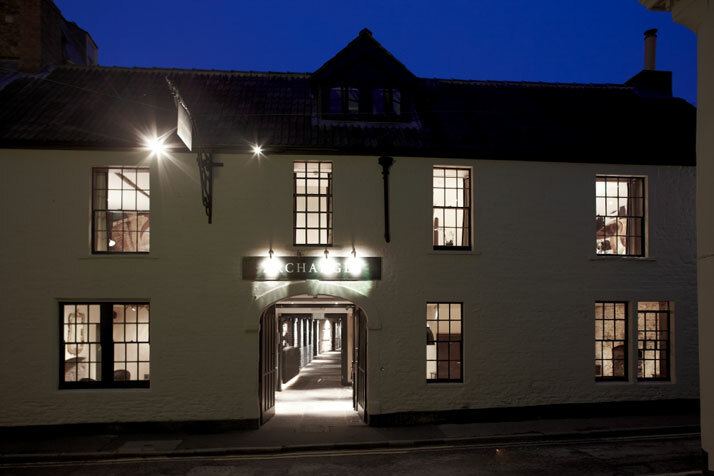 A view from the outside presents a modest building that was once a medieval coaching inn called The Angel. In fact, the outside of the carriage house probably looks much like it did in the 18th Century thanks to the white painted brick, the shingled roof top, and the dark paned glass windows. Frome is one of many jewels in this part of the English countryside, with Bath, Glastonbury, Bristol, and Stonehenge all nearby. The landscapes in this corner of the world are breathtaking, attracting many visitors for many years, yet, the Archangel Hotel Restaurant and Bar is bringing a new type of buzz to the quaint area. Piers Taylor of Mitchell Taylor Workshops is the architect who transformed the aged and crumbling building. Taylor managed to maintain the history by preserving the patina on the original walls, and the medieval cobblestoned road in the middle of the property. These touches work beautifully in giving the hotel and restaurant/bar a rustic feel amidst the updated luxurious renovations. 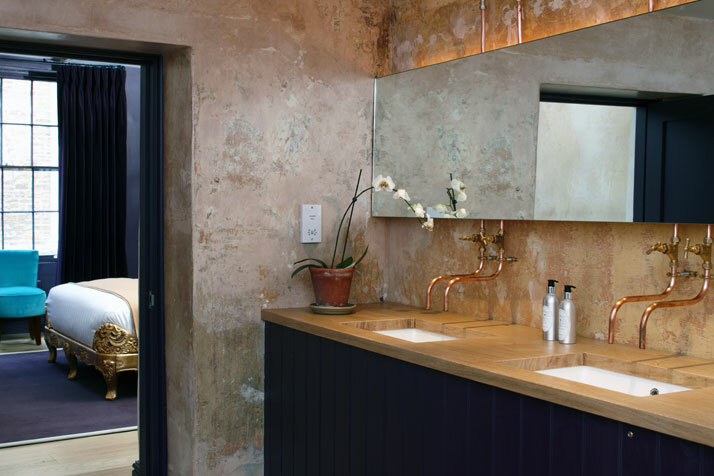 On the interior, the designer Louise Waterfield (in collaboration with designer Niki Turner) brings elegant touches to each of the six bedrooms as well as the restaurant and bar areas. 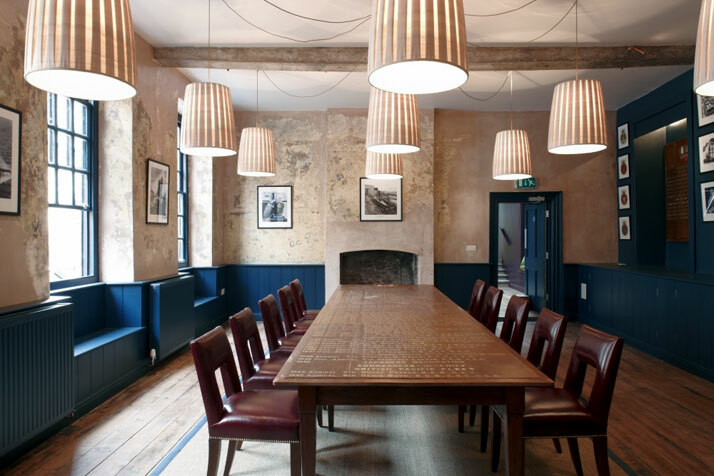 Stone, wood, leather, zinc, and glass are successfully used throughout the interior to provide the “English countryside comfort” vibe that is the foundation for the stylish accents added into the design here and there. Details such as a freestanding zinc bathtub simultaneously provide the guest with nostalgia and high-end hospitality. 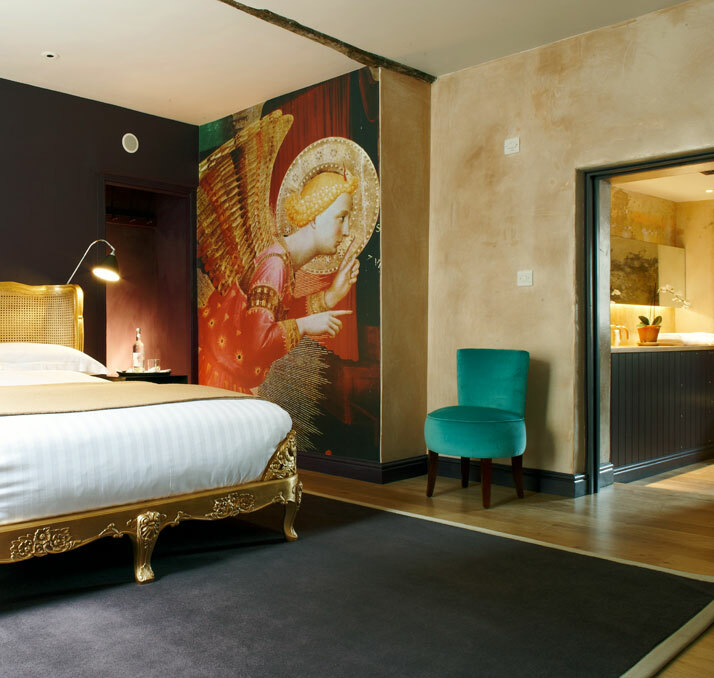 Stemming from the name itself, two of the bedrooms are adorned with a mural of an archangel that looks over the suite (one of the angels is a re-creation of The Annunciation by Leonardo da Vinci, another from Fra Angelico’s Angel of the Annunciation). 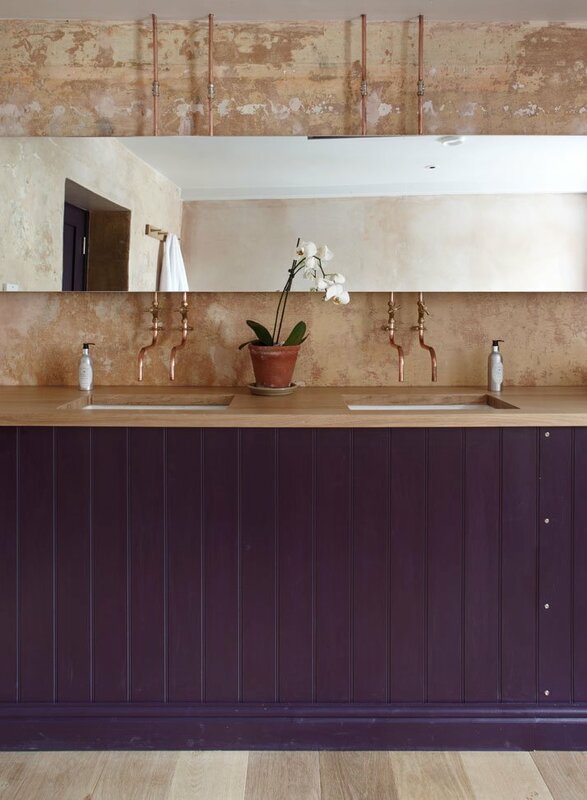 The rooms are designed in a palette of deep, rich purples and golds. Dark oak floors and velvet curtains in all of the bedrooms ensure that each guest feels like royalty. 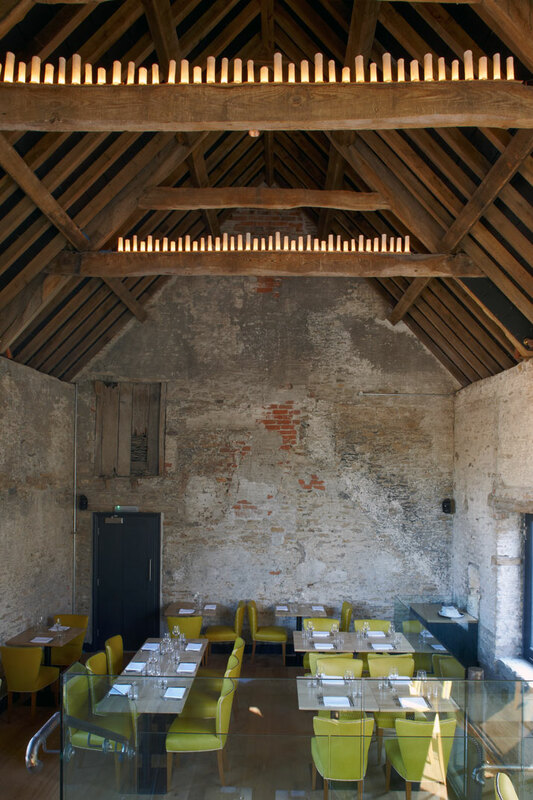 The restaurant fills the three floors of the old hay barn near the main house. One of the levels is called The Cube; “a free-floating mezzanine that seats up to twelve people around a single table” for family style dining. The restaurant has a lively feel with a Brasserie menu designed specifically for a “fun” dining experience. The restored barn is accented by seventy Italian-made mustard yellow chairs and candle lights (Xenon lamps with handmade porcelain sleeves) designed by the well known light artist Bruce Munro. 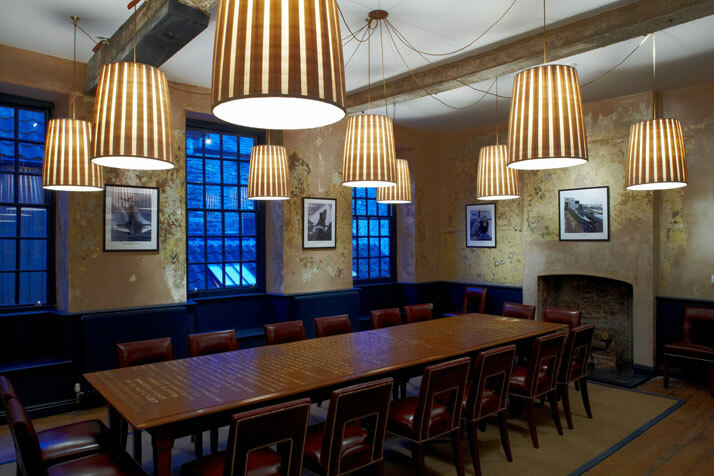 From a design perspective, one has to appreciate the care that was taken in the design to keep the bucolic “rough around the edges” feel apparent among the style and elegance of the modern day boutique hotel and trendy restaurant/bar. 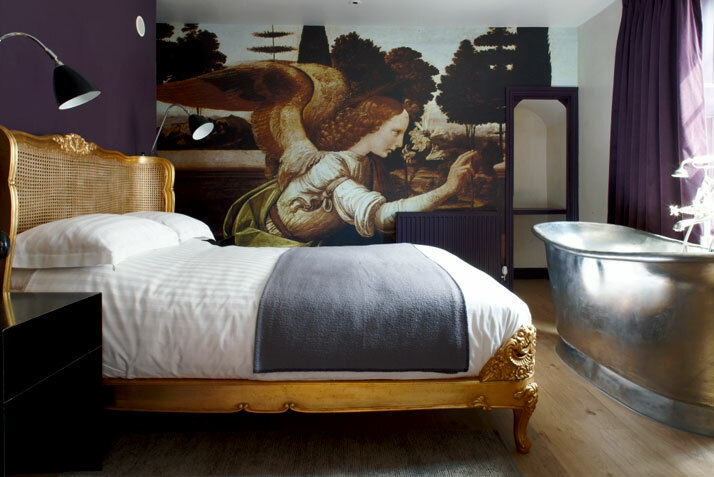 The hotel itself sums it up quite well on their website; Archangel offers “beauty, history, modernity, light, a good glass of wine, and fresh seasonal food.” Sounds to me like the perfect combination all under one roof.